The Littermaid LM980 Mega Self-Cleaning Litter Box is a high-end litter box with a name that sounds like it may come straight out of a sci-fi movie. Thankfully for cat owners, technology has indeed changed, evolved and advanced when it comes to cleaning up after our feline friends, which makes caring for pets much easier than it has been in the past. Such is the case with the concept of a self-cleaning litter box. As with other litter boxes of this type, it allows for pet owners to keep a clean litter box without having to stop whatever they are doing and scoop out the litter every single day. Making for a quick and easy clean-up that any cat owner will appreciate, the LM980 may just be the thing that you are looking for to enhance your pet owning experiences without the extra hassle. Here are some pros and cons that we found for the LM980. When the cleaning cycle on the LM980 is activated, an automatic rake will move forward and then back to scoop or sweep waste clumps into the attached waste receptacle. The receptacle will then keep the waste contained until it is time to replace it. This receptacle also contains unpleasant odors along with the waste; out of sight (and smell), out of mind! The LM980’s size is not only suitable for larger cats and cats that need plenty of space when using the litter box, but the high walls keep messes made from stray litter that can be caused by your kitty digging from getting all over the place. The LM980 is perfect for any size of cat. From small to large, the spacious box will accommodate even cats that are over 15 pounds. It is also suitable for households with multiple cats. The rule of thumb for owners of multiple cats is to have one litter box per cat, plus one extra box. This can take up a lot of space, not to mention a lot of time to clean each individual box. Since the LM980 can be cleaned so quickly and easily, owning just one of this product should suffice, although daily emptying of waste will provide the best results. Since the automatic rake comes into contact with waste quite often, as one could imagine, it will have to be cleaned from time to time. The rake is removable, which makes cleaning easier. If you’re worried that a blocked receptacle will cause the cleaning mechanism to break by continuing with the clean cycle, not to worry–Littermaid has equipped the LM980 with a safety bar to prevent this from happening. The LM980 comes with an optional sleep timer that can be set to deactivate your litter box overnight while you are sleeping. If you are wondering how the LM980 knows if your cats are in the process of using the litterbox or not when the cleaning cycle begins, fear not! Littermaid has made sure that their litter box is safe for your kitties to use. The LM980 comes installed with a sensor that must be blocked for at least 10 seconds while your cat uses the litter box. When the cat leaves the box, the sensor becomes unblocked, which initiates the cleaning cycle. Once initiated, the cleaning cycle will officially begin after 10 minutes to make sure that your cat is no longer in the box. What happens if your cat or another cat re-enters the box during the wait time? Not to worry; the sensor will trigger again and the 10 minutes will start over. Not only is your kitty safe with the LM980, but you also do not have to worry about startling or disturbing them as they do their business. Kitties have a tendency to track litter out with them on their paws when they finish using a litter box. The LM980’s paw-cleaning ramp acts as a sort of “foot wiping” mat to eliminate this problem, which is useful, but also pretty cute. As you can probably imagine, cleaning the rake, which is the cleaning mechanism of the LM980, will need to be cleaned itself from time to time. Thankfully, the whole package of the LM980 comes with several receptacles, filters and a specially made cleaner to take care the rake when it needs some attention. As I mentioned before, that rake is also detachable, which makes cleaning a breeze. The LM980 comes with an adaptor and runs on electricity. Simply plug one end of the core into the box and another into a power outlet in the wall, and press the on button. While customer service is responsive to customer complaints and will replace a faulty product, it seems that the design and engineering could use some tweaking. The internal mechanism and gears are made of plastic, making them prone to shutting down, getting stuck, or worse, breaking before their time. We recommend getting a warranty on the LM980 just in case the unit that you purchase does not hold out for as long as it should. While the price tag of the LM980 is not unheard of for a standard and typical self-cleaning litter box, it is still a pretty penny for the convenience of pet clean-up that is mostly automated. Coupled with the issue of durability, if the LM980 breaks down, it can be quite an expensive source of frustration. Assembling the LM980 is not too difficult, although it does take a few steps. Simply prepare the waste receptacle by placing it underneath the compartment cover in the proper space provided. Making sure that the front edge is under the 5 tabs on the front edge of the litter tray, click the tray into place. Attach the waste receptacle lid by inserting the tabs into the round holes on the cover. Make sure that the lid is secured by slipping the edges under the tabs on the waste receptacle cover. Next, remove the carbon filter from the plastic sleeve and peel off the paper strip attached to the adhesive. Stick the filter onto the diamond shaped insert in the center of the waste receptacle lid. Attach the paw cleaning ramp by snapping the two notches into the attachment posts on the top housing, directly in front of the waste receptacle compartment cover. Tug slightly on the ramp to ensure that it is firmly in place, and then finally, fill the litter tray so that the litter level is between the minimum and maximum fill lines on either side of the box. All clumping litters are safe to use with this box, although brand quality can vary. Use one that works well with your specific cats. Use the scoop provided to evenly distribute litter in the litter tray. 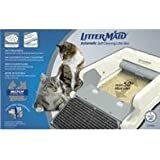 The Littermaid LM980 Mega Self-Cleaning Litter Box has some very strong points that make it a desirable product to try out and to make your pet care experiences more enjoyable and with less hassle that comes with standard and traditional litter boxes. The main caveat for this product, is that the durability of the litter box can be a “hit or miss,” and if you happen to get a miss, then that miss is not exactly a cheap one. With a warranty and effective customer service though, that does not mean that the LM980 will not ultimately work out for you. Still, given the variety of self-cleaning litter boxes on the market, the LM980 could perhaps do with a bit of a design remodel. Newer generations of this litter box will surely no longer suffer from the problem of lesser durability, although I would not discount the LM980 all together until that time comes. Remember, that with the convenience that comes with a self-cleaning litter box, any one of us who has owned cats knows how time-consuming and unpleasant cleaning cat litter can be. This is especially so for owners of multiple cats, when the clean-up involved gets to be tedious. A self-cleaning litter box like the Littermaid LM980 Mega Self-Cleaning Litter Box could be just the thing that you are looking for. And as cat owners are well-aware, the personalities and behaviors of cats can vary wildly. 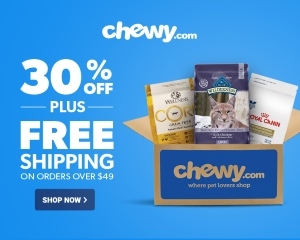 As with food, toys, litter and any other item we bring into our homes for our pets, each product is a bit of trial and error until we find what works for us as individuals and for each unique cat. You never know; the LM980 may be just the thing that you and your kitties are missing. Just got the new model. The dark blue color will always look dusty. Bad idea to change colors. Also the old receptacles do not fit the new model. Unfortunately, I have a new full box. Also, you have to take the ramp off every time you change waste container. Arms attaching ramp are very thin plastic, and doubt the will last very long. Overall, it is not nearly as sturdy as the older model. Hope it lasts, but I have my doubts.